Dr. Mark A. Jones and the team at Park West Dental are dedicated to providing patients immediate solutions for their dental concerns as well as relief from any symptoms they may be experiencing. 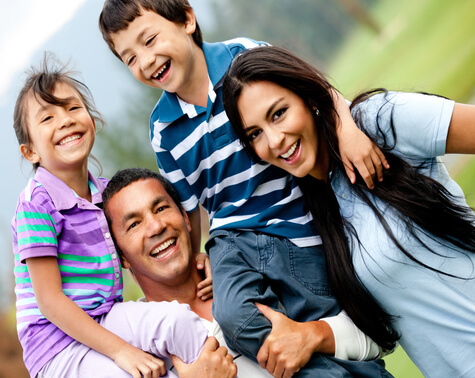 Park West Dental offers a wide range of general dental services to address the needs of your entire family. Not only do we practice preventive maintenance by performing routine cleanings, fluoride treatments, and oral cancer screenings, we also specialize in restoring wellness and functionality to your smile through procedures such as root canal therapy, sealants, metal-free fillings, and invisible braces such as ClearCorrect®. We also offer cosmetic dentistry treatments such as teeth whitening to restore the natural radiance of your smile. In the event of a dental emergency such as a cracked, broken, or avulsed tooth, our compassionate and responsive team will make every effort to see you as soon as possible and will do whatever it takes to alleviate the pain. If you are currently experiencing a dental emergency such as those mentioned above click below for our phone number and address. The Park West Dental team also specializes in dental implant restorations. We have access to a variety of materials and components to restore any type of implant. This includes mini implants and implant-supported dentures, regardless of whether you had it placed at another practice. If you are currently using traditional dentures and are seeking a more comfortable and natural looking alternative, Park West Dental can help. Dr. Mark A. Jones and the Park West Dental team are here to serve you. We welcome new patients and their families and look forward to providing your family with the type of quality dental care that you deserve. By performing advanced and efficient dental procedures with cutting edge technology, we provide patients with effective treatments that are minimally invasive yet yield lasting results. Call Park West Dental if you have any questions and to schedule your initial consultation! Finally, please take the time to leave us a review on our Social Media platforms below as we encourage client feedback!